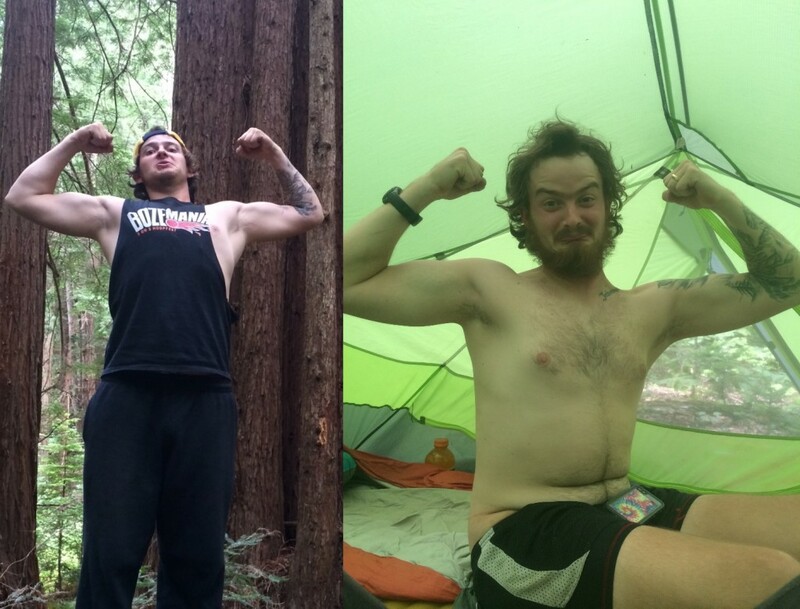 I recently posted a semi-embarrassing photo of my before-and-after AT pack, and some people wanted to know what changes were. So here it is. I focused on my own gear, because I know it better. Rocky’s gear alterations were very similar though. 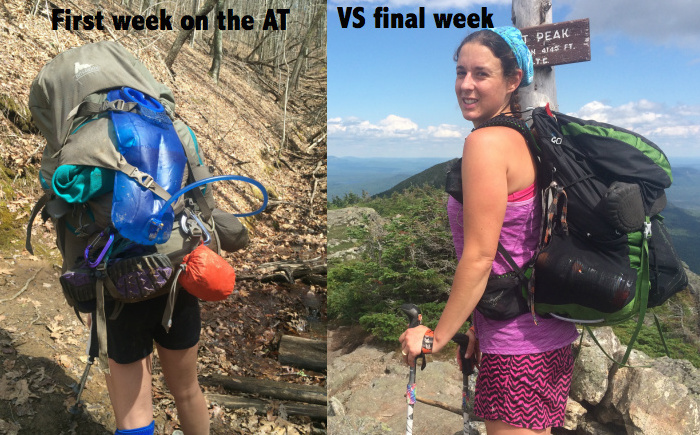 We started with stereotypical setups: giant packs, fancy hydration bladders, lots of clothes. Rocky’s base weight at Springer Mountain was 32 pounds, mine was 27. By the time we reached Katahdin, his base weight was 21, mine was 18. We sent home winter gear in Virginia, and since we finished in the second week of August, we never got it back. Most of the changes listed were in place by the time we hit Damascus. I wish we had done more research before the trip. Much of the best gear isn’t built by major companies, but by smaller enterprises not represented at big-box stores. 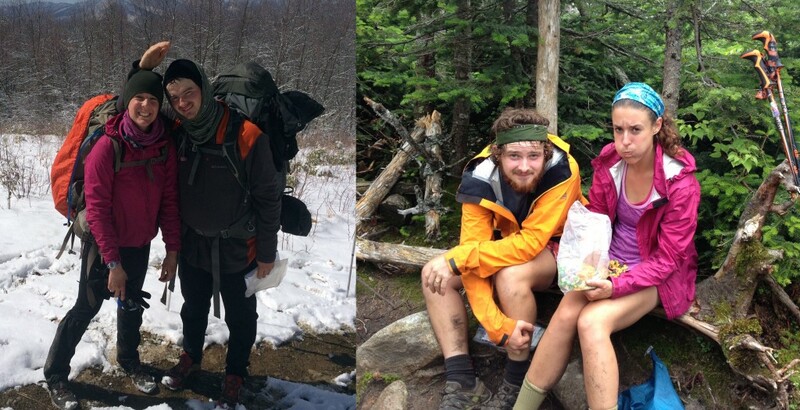 My advice to future thru-hikers is to do your research and pay attention to smaller companies. Carrying a lighter pack will make you more comfortable, and save you money since you’ll be less likely to replace stuff along the way. We estimate we spent over $1,000 on trail replacing gear. Ouch. Here are some pictures for a visual comparison of our packs. And our faces. The evolution of our faces. Rocky got really hairy, and I just look vaguely confused. Hopefully this covers it. Leave any questions or comments below. Hope everyone’s fall is going well; Rocky and I are back to our usual lives of working, paying bills, and going on hikes that aren’t 2,000 miles long. 40lbs to start :O Yikes. Very cool to see your gear changes! Everyone should post a stuff-I-sent-home list like this. Most interesting. No stove … I don’t know if I could have done that. I grew fond of my stove and the whole firing-it-up routine. What happened to the good luck stuffed dog??? Any idea how much money you spent grand total for replacement gear? And I thought my base weight was bad at 12 pounds! This has to be the most d-bag humble brag I’ve seen. 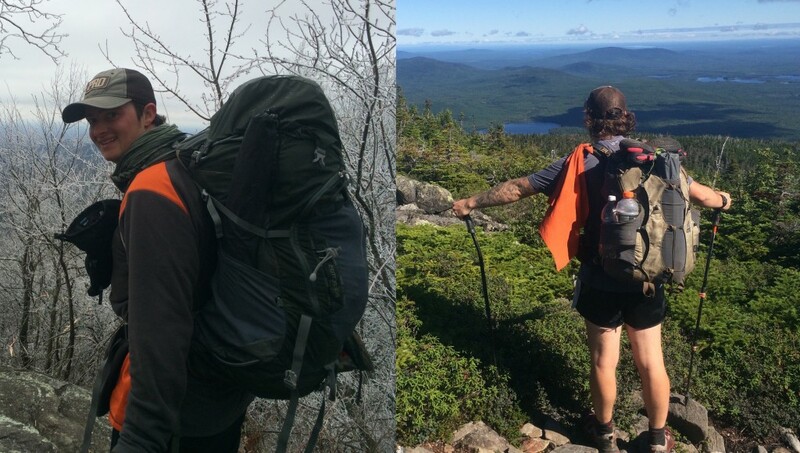 Hike your own hike and stop waving around your 12 pound base weight like it’s a 12 incher.